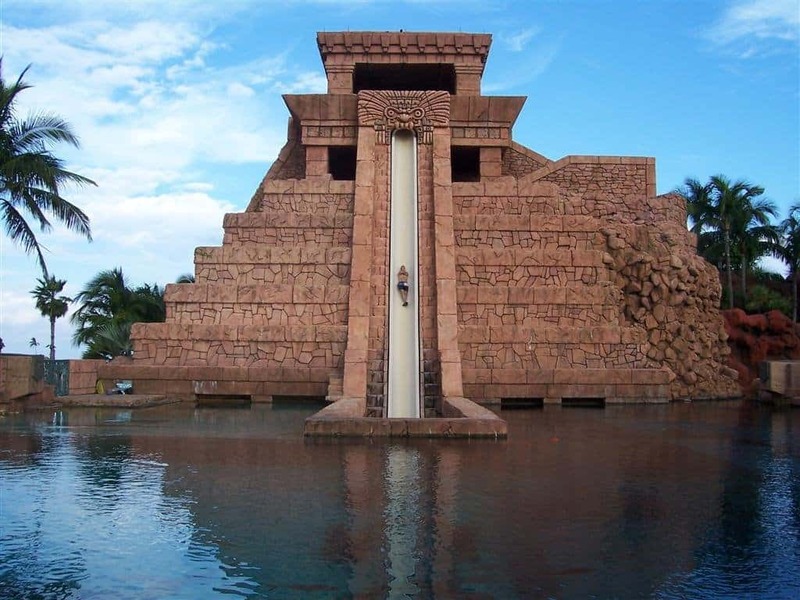 The Dolphin Plunge is the type of water slide that won’t scare anyone who rides it. Instead, this particular slide is just plain fun. 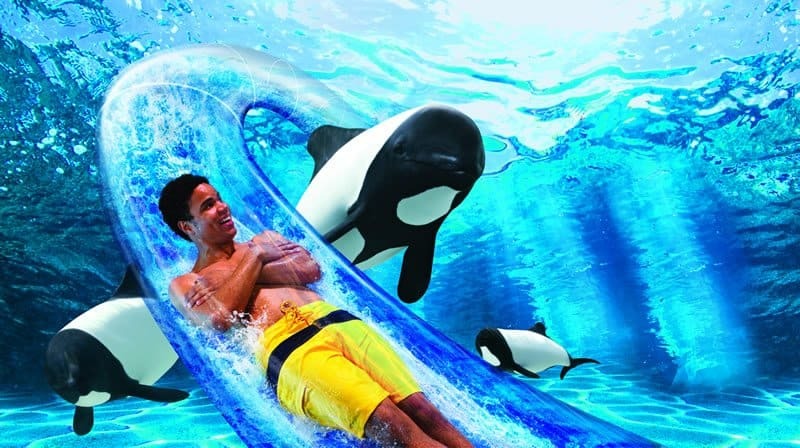 Riders go quietly through an enclosed tube, then into a clear, underwater lagoon filled with freely swimming dolphins. Getting close to sea life has never been easier or more entertaining. Generally, a water slide tends to allow one person per ride. However, Mammoth allows an entire raft, which holds a family, to race down the longest roller coaster track. 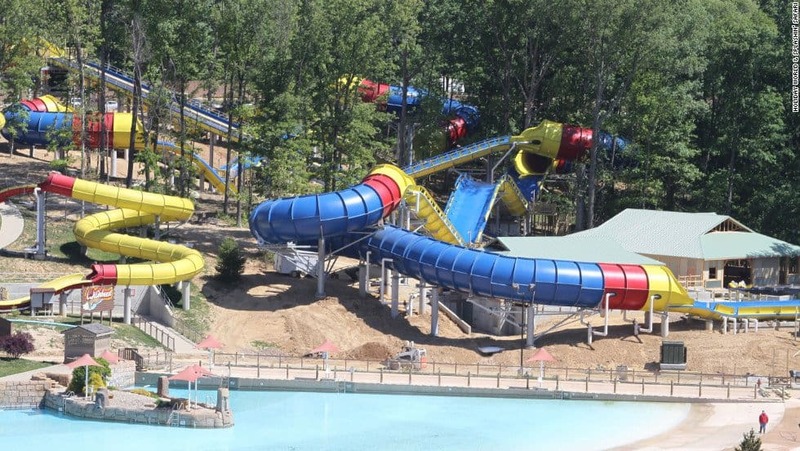 The entire ride covers three acres at the Holiday World & Splashin’ Safari park in Santa Claus, Indiana. Groups of six can race down hills and around turns at high speeds. 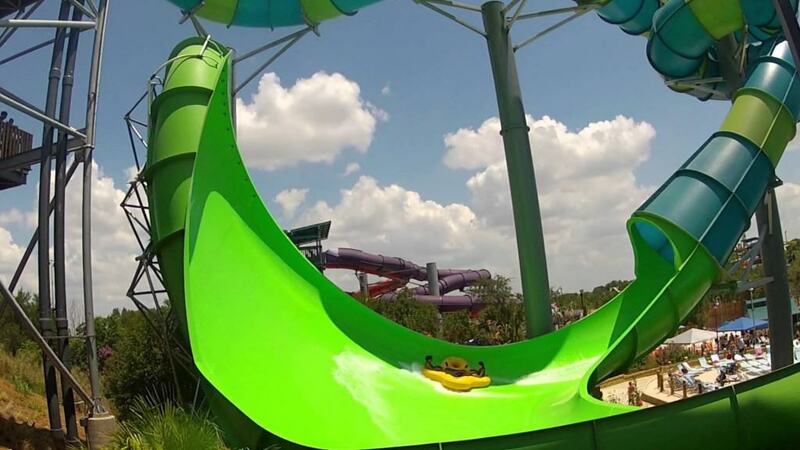 Walhalla Wave at Aquatica, San Antonio, Texas, features a completely enclosed 720-degree turn followed quickly by a seven-story drop. An almost vertical wave section that offers a zero gravity feeling for the rider. These are the types of situations one commonly finds within a roller coaster, not a water ride. The Black Anaconda, located at Noah’s Ark in Wisconsin Dells, Wisconsin, envelopes the rider at speeds of up to 30 miles per hour. The entire ride stretches for about a quarter-mile, making it one of the longest water rides in the world. Jets of water will push the rider up hills before spitting them out at the end. Bomb Bay, in Orlando, Florida, begins the entire ride in a small chamber where the rider awaits the beginning. The floor will then drop out beneath you, then a near 75-foot vertical free fall to the bottom, where a picture of you will be taken before you hit the bottom. It’s an intense ride that should leave everyone screaming in either fear or entertainment. 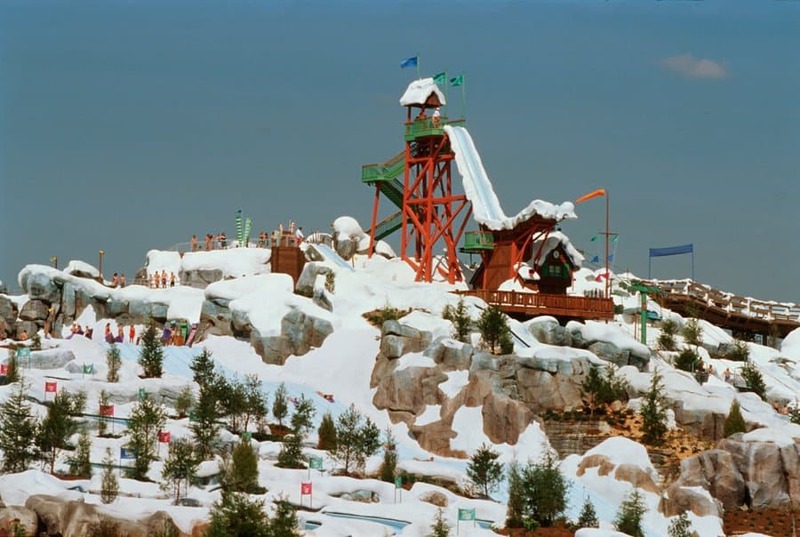 Summit Plummet is located at Disney’s Blizzard Beach in Florida. 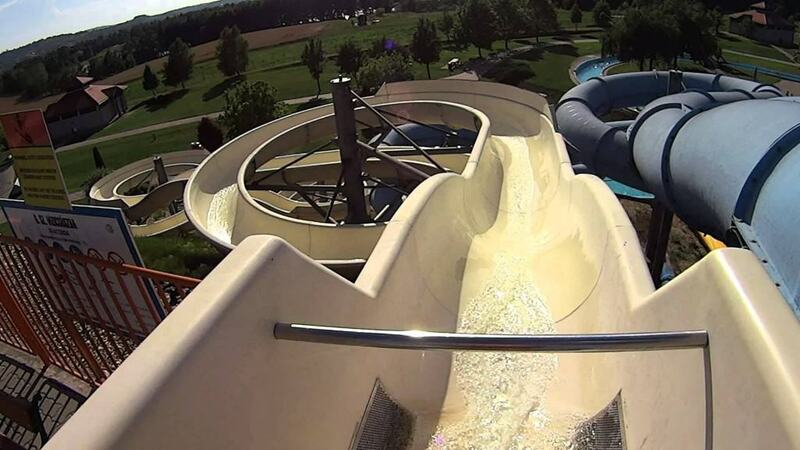 This particular ride is considered to be one of the most extreme water slides across the entire United States. Riders start at a height of 120-feet before sliding down an almost vertical incline. Speeds of up to 60 miles per hour are achieved. 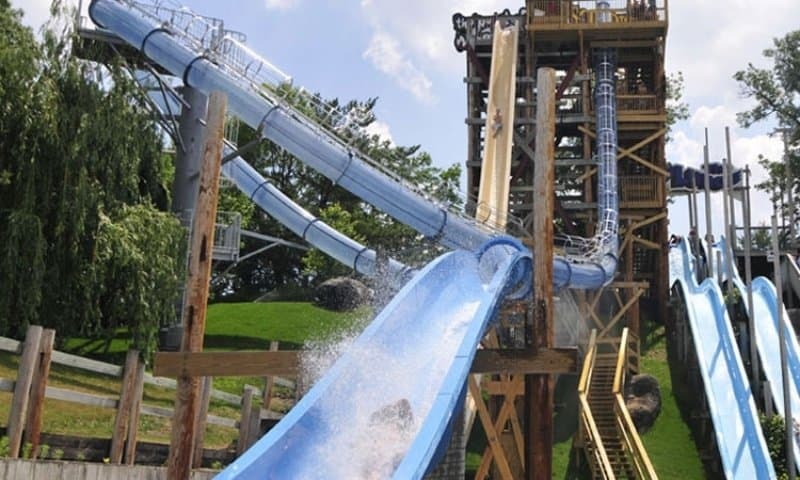 There are no tracks or vehicles, just the rider, the slide, and the water. Much like the Bomb Bay, Scorpion’s Tail has a floor that opens up underneath the rider to drop them into the water slide from above. Instead of straight down, however, the rider goes through a loop – the first, some say, within America. The AquaLoop, located at the Everland Resort in South Korea, is a colorful affair that should be plenty of fun for the entire family. 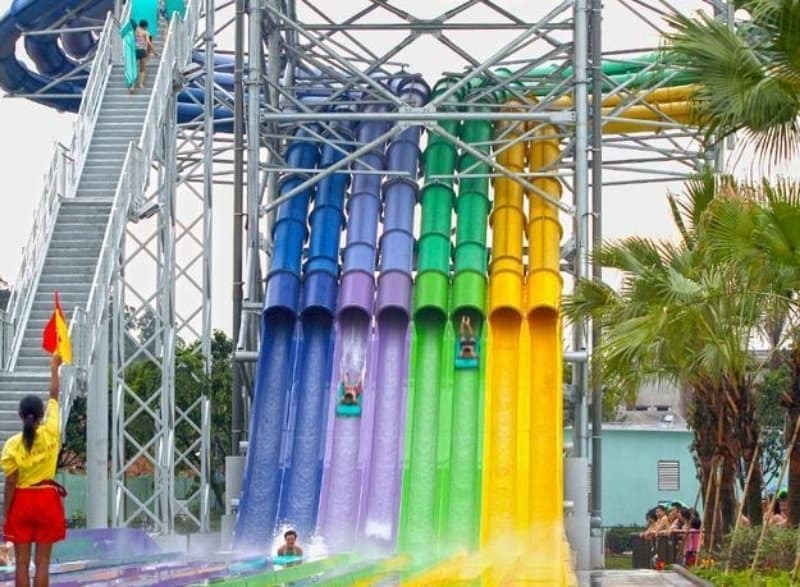 The ride features numerous loops that riders can enjoy, all of them different colored, that come to an end in a pool. 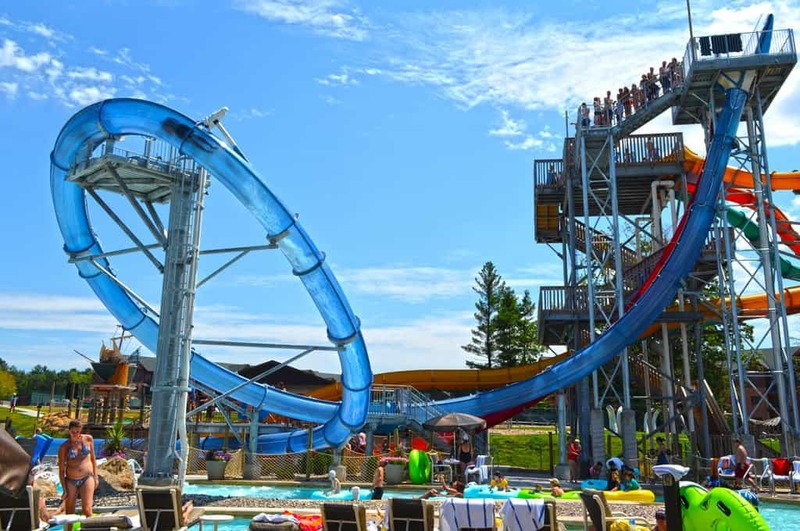 Tantrum Alley is one of the most impressive water slides featured on the list. 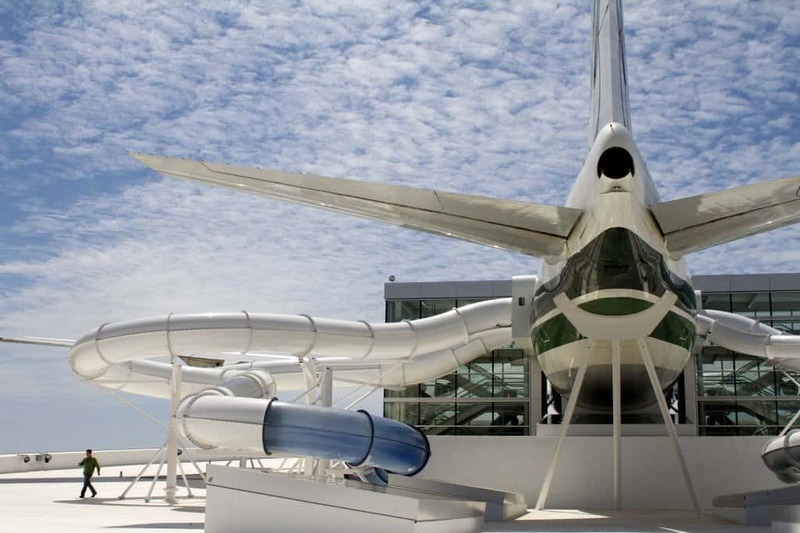 The slide, located in Dubai, features two massive downhill slides and three funnels to enjoy for the rider. 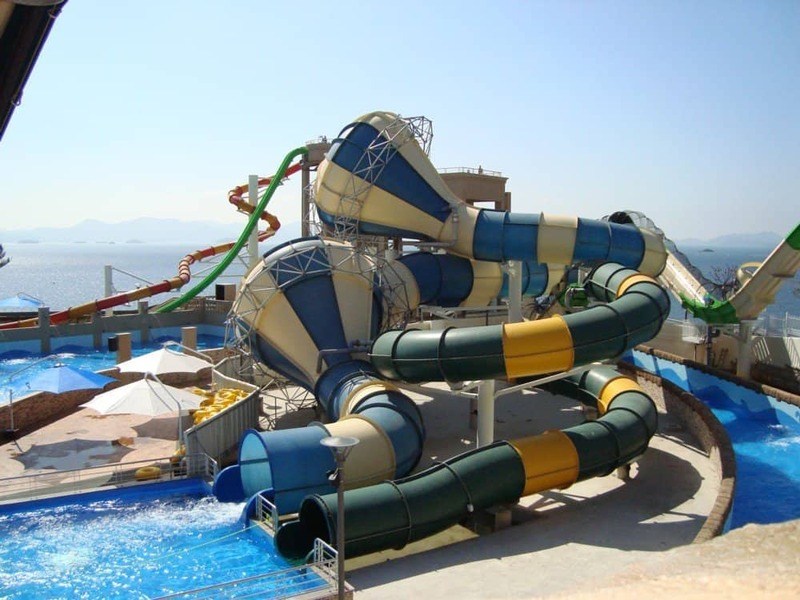 The funnels, in particular, offer something different from the normal water rides around the world. 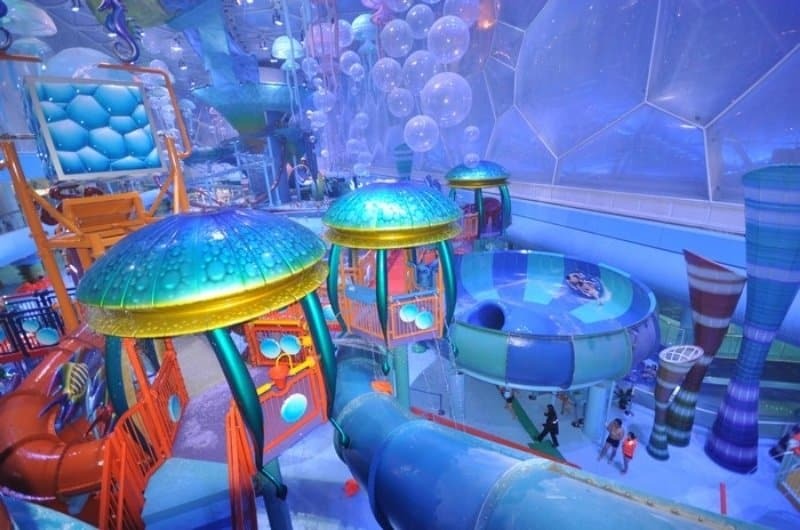 The Bulletbowl, located in the famous Beijing National Aquatic Center, China, is the first indoor water park to offer a theme even close to this. The entire ride appears to be something from a child’s dream, with bubbles rising up, colors vibrating through the entire arena, and multiple slides to enjoy. 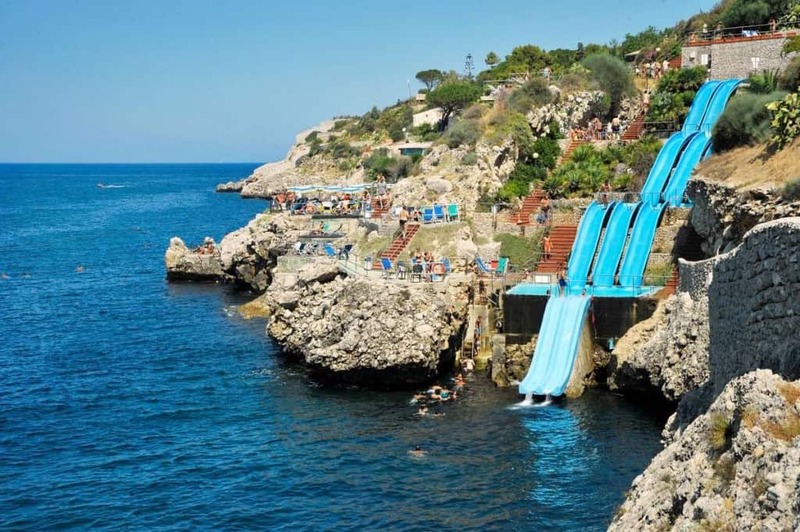 The Città del Mare, located at an Italian resort, offers riders the chance to slide down multiple water slides and land directly in the Mediterranean Sea. This ride is the type of experience that the entire family will remember, whether you got a picture or video or not. 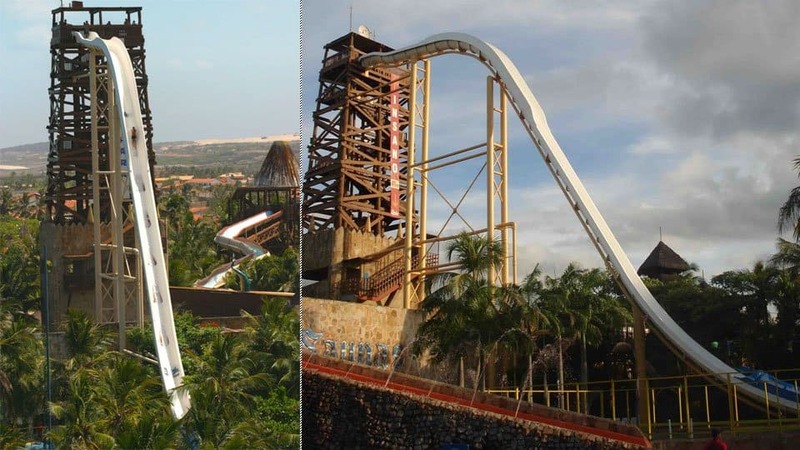 Insano, in Brazil, currently holds a record for being one of the World’s Tallest Water Slides, standing at 135-feet. Riders travel at speeds of around 65 miles per hour. Riders move down the slide in a basically vertical drop. It appears to make one feel as if they are going to fall from the slide on the way down, which is both terrifying and exilerhating. The Head-First Racer at Chimelong Waterpark, is a unique take on the water slide, offering a bit of competition amongst the riders. There are eight tubes available in four different colors. The riders choose their tube and see who can race to the bottom the fastest.